After a fairly difficult 2014, Twitter Inc (NYSE:TWTR) augured 2015 with plenty of hopes and plans and much of this optimism stood vindicated when the stock registered a sharp rise of 2% during Friday’s trading session. ‘ClassCurious’ was how this increase was termed on CNBC and questions were posed to Aaron Kessler, senior analyst with Raymond James, as to what could possibly have triggered such an unprecedented spike. Also under discussion was Mark Cuban’s comment that Twitter Inc (NYSE:TWTR) is a better search engine as compared to Google Inc (NASDAQ:GOOGL) and whether this alone could have influenced investors to embark on a buying spree. To this query, Kessler replied that while he regarded Twitter as being good for conducting real-time searches, Google Inc (NASDAQ:GOOGL) served as a better platform for ecommerce. This was based on results of certain consumer surveys wherein 80% users ticked Google as against a mere 34% for Twitter. That said, the stock was named as one of the top picks for Monday’s trading session along with Lions Gate Entertainment Corp and Eli Lilly and Co. 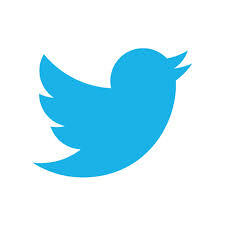 Courtesy of its micro-blogging facility, Twitter Inc (NYSE:TWTR) is also serving as a build-up platform towards Golden Globe Awards, 2015, which are scheduled to be held on Monday, 12th January, 2015.